Like other officials, Maggi showed his frustration at the police. BRASILIA: Worldwide markets have been slamming their doors on Brazilian meat since revelations that rotten produce was being sold with faked certificates, but the agriculture minister told AFP on Thursday "the worst of the process is over." Just under a week since police announced they'd discovered meatpacking companies bribing corrupt inspectors to certify tainted meat, Brazil's huge meat industry is reeling as China and other big clients suspend or impose extra checks on imports. Agriculture Minister Blairo Maggi insisted that the problem is isolated and that Brazilian products represent no danger. But the economic damage to Latin America's biggest country could be dire: $1.5 billion in sales are at risk, Maggi estimated. However, officials are pushing back hard, with President Michel Temer due to call his Chinese counterpart Xi Jinping on Thursday to try and get the import ban lifted. "I think the worst of the process is over," Maggi said. "All countries are showing goodwill. They understand that with the procedures we have set up over the years, as well as the fact that importers themselves also make checks, they can be sure that our products are good." He said Brazil's challenge is to persuade markets that while "some public servants were corrupt, we've never had, not for a moment, accusations that our products are not good quality, especially those for export." "We need to separate these two things," he said. 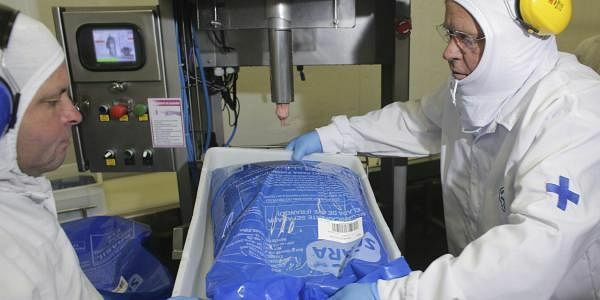 With China and Hong Kong banning beef and chicken and the European Union banning only products from the 21 meatpacking plants under investigation it remains unclear what will happen to meat already being shipped. Maggi said earlier that 5,000 containers are on ships, but that most of the meat products are not under suspicion. He told AFP that only one of the plants being investigated had been exporting. "We have already asked for the return of all the containers that were in transit. There is no risk that a country could receive products sent recently from these 21 plants," he said. Temer's government is already in a tussle with prosecutors investigating high level corruption and embezzlement from state oil company Petrobras, and the meat scandal has further strained tempers. Maggi questioned why the police hadn't said anything before, given the probe announced last week had been running for two years. "This is one of the mistakes of the operation," he said. "The Federal Police made a mistake when it came to communicating. They exaggerated in some places, feeding the public's imagination."